Visual Studio Code>Programming Languages>tbtedi-syntaxNew to Visual Studio Code? Get it now. 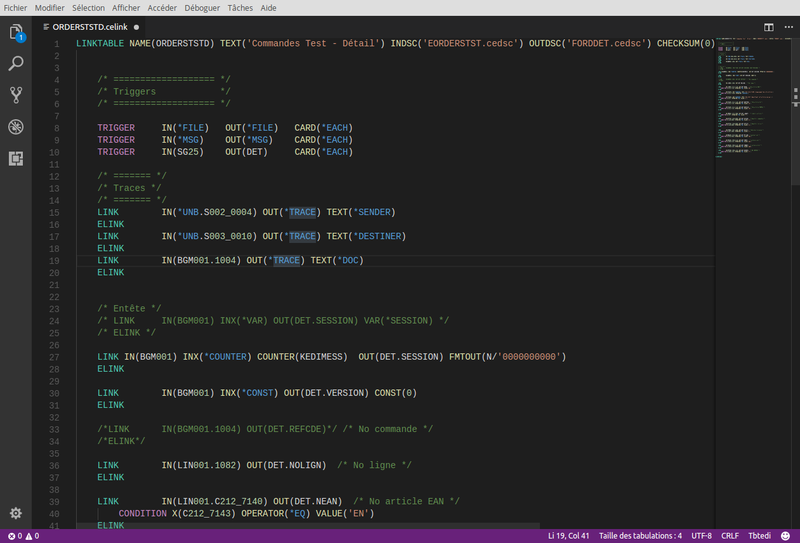 This extension provides TBTEDI config file language support for Visual Studio Code. You can now use the excellent IDE interface that Visual Studio Code provides for write the EDI translation file on IBM i. The TBTEDI Support extension is under the MIT license.